Here's the last stage of the Type L model of the No.2 drill. The hollow main handle has been lengthened to accommodate those newfangled twist drill bits. 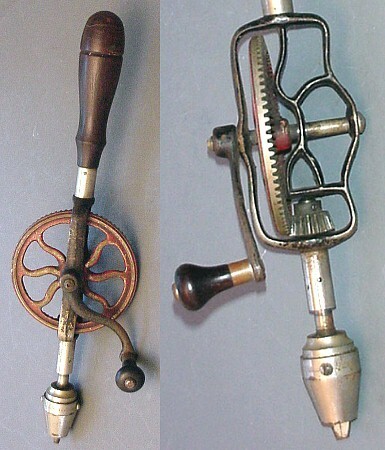 Compare to the shorter handle of the Type L0. The crank handle has undergone an evolution from the Type L0 to the Type L2. None of the Type L series handled thrust very well.